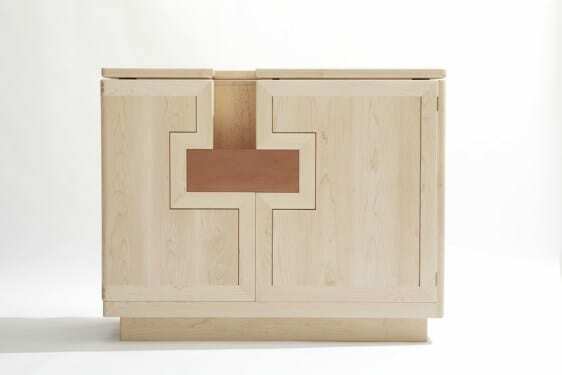 The entrance to this sideboard called Nis revolves around the central alcove (Nis meaning alcove in Dutch). The bottom of the alcove opens the drawer, the sides open the two doors, and the back slides out of place to reveil a semi-secluded space for small valuable items. 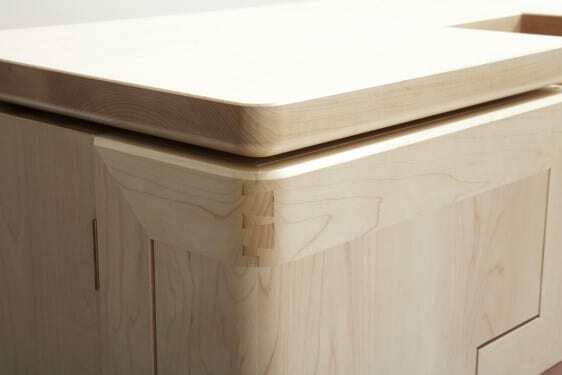 The two doors envelop the drawer and protrude slightly from both the drawer front and the cabinet case by means of a chamfered edge. The a-symetric design, use of light and pastel-colored woodspecies and round corners with different radii all combine to a fresh and playfull design. 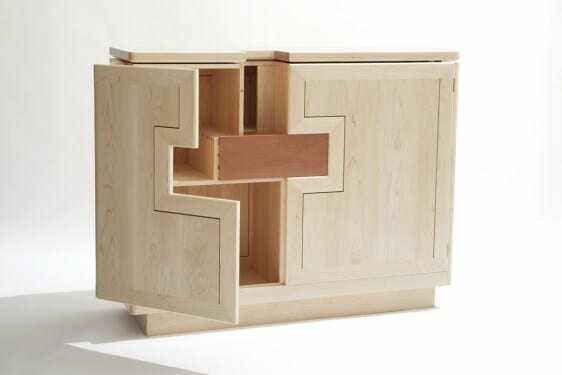 This is all the more emphasized by the left door that wraps around the side, while the right door remains hinged on the front side of the cabinet. The alcove extending into the top, effectively creates two areas of display of different sizes. A special feature are the panels of the doors, that morph the properties of wood (shrinking and expanding over the seasons) into a design feature. 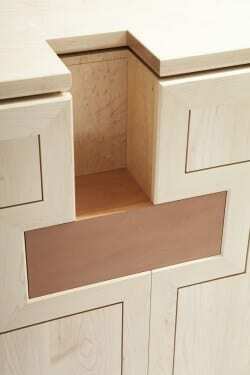 Both the case and drawer are dovetailed and the doors are joined with mortise and tenon. 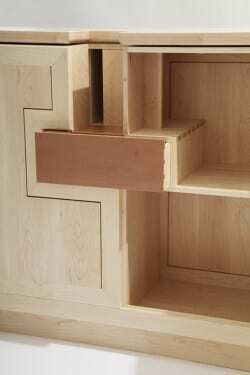 Instead of hiding this joinery, it is exposed in an unobtrusive way. 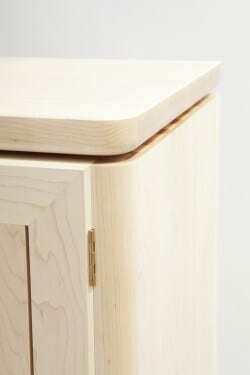 The sideboard is made of solid hard Maple and Swiss Pear and is designed according the Golden Ratio. Dimensions are 121 x 98 x 39 cm (length x height x depth).